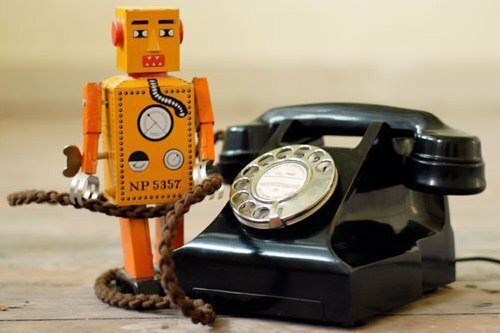 According to the authors of the book ‘Learn ethical hacking‘, the U.S. Federal Trade Commission (FTC) has reached some resolutions that could lead to a decrease in the operations of automatic call services (also known as robocalling). James Christiano ran TelWeb, a robocalling platform. According to the FTC, TelWeb’s software has failed to comply with several laws. For example, this service ignores the ‘Don’t Call’ lists, where people sign up to not be bothered with these calls, in addition to using a fake caller ID to increase the chance that the target will answer the call. According to figures mentioned by the authors of ‘Learn ethical hacking’, of a total of 883 million automatic calls registered last year, about 160 million are made by TelWeb. Data from the first quarter of last year also claimed that at least 54 million of calls were made using a fake ID number. The FTC added that it has received about 8000 complaints from consumers against this company, reason enough to establish sanctions against its operators. NetDotSolutions and TeraMESH Networks, owned by Christiano, were identified in the FTC’s lawsuit, also mentioning Aaron Michael Jones and Andy Salisbury, two resellers of the TelWeb system. According to the FTC, Jones was already prohibited from conducting telemarketing activities due to previous breaches. Jones also participated in the Point Media Break fraud, mentioned the authors of ‘Learn ethical hacking’; on that occasion, a supposed Google expert randomly called people requesting a payment of $170 USD in exchange for not being eliminated from Google search results. The FTC also sanctioned the operators of Higher Goals Marketing, a company designated as part of a fraudulent scheme that has deceived thousands of people with financial problems across the United States, offering them fake services to reduce the rate of interest in their debts. The third sanctioned operator is Travis Deloy Peterson, from Utah. Using several names, Peterson made millions of automatic calls asking the victims of the fraud to donate a vehicle for a war veterans’ charity association. Now Peterson will have to pay a fine of about half a million dollars, in addition to returning almost 100 vehicles obtained through his scheme of fraud. The fourth of the sanctioned operators managed a fraud scheme to offer fake Google Business services, told the FTC.